Content search is a feature that has been available in SOLIDWORKS PDM for many years. 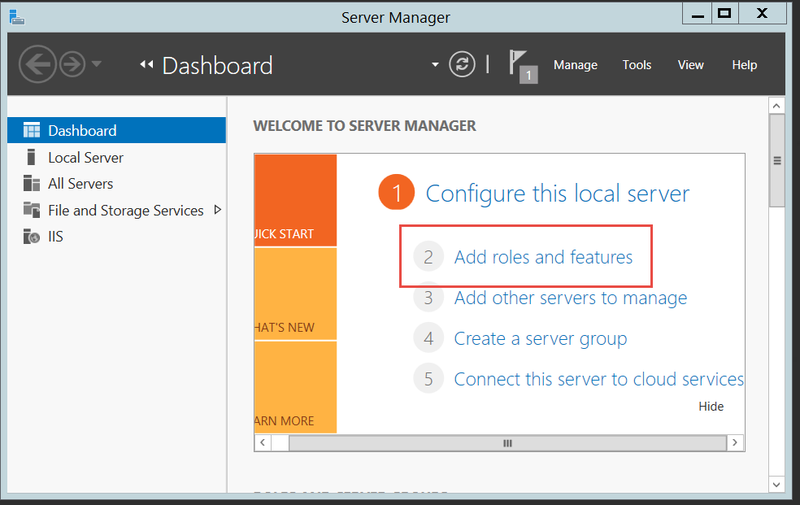 It was on a brief hiatus when Windows Server dropped support for the key feature that made content search possible. 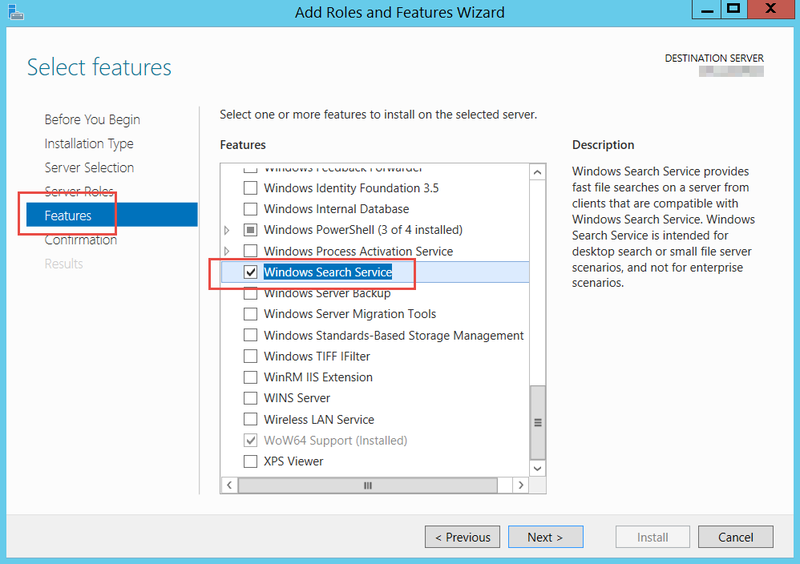 Well, its back with Windows Server 2012 and SOLIDWORKS PDM Professional! 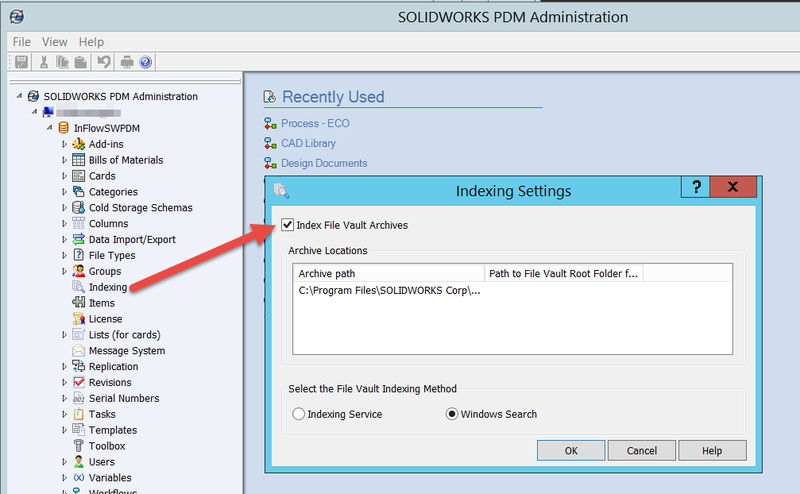 If you are new to content search, this feature allows your PDM users to search within the text of files stored in the system. For example, if you search for the phrase “Critical Change”, all files with that text anywhere in the document will be returned. This can be very useful if you have a lot of files that do not have metadata to search on (custom properties or attributes like description, title, etc.). We will cover each of these below. 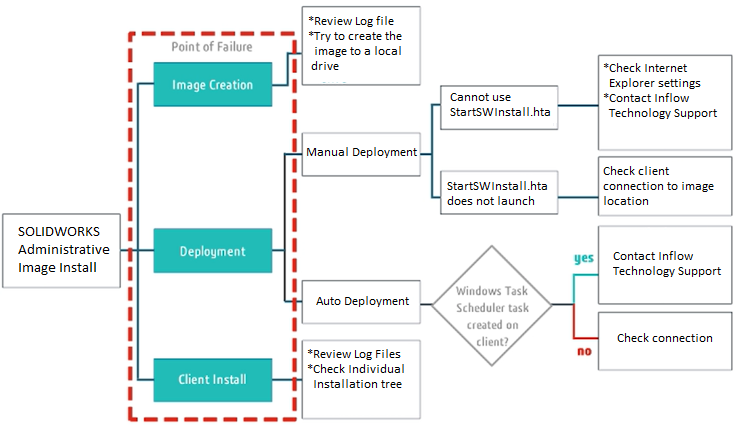 Everything you need to know about enabling indexing can be found in the PDM Install guide. There is a dedicated section just to configuring content search. The first thing that I should mention is that Microsoft no longer calls this feature indexing, it is now called the “Windows Search Service”. In the end, it produces the same result, and index or catalog of all the content to be searched. The steps required vary based on the host machines OS and where the Archive and Database are located. 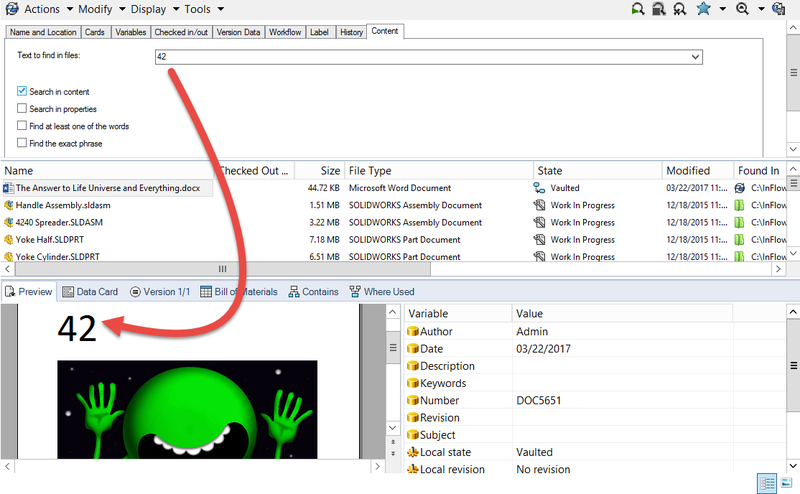 To get the instructions, refer to the installation guide, which can be found here: ‘<Install Directory>\SOLIDWORKS Corp\SOLIDWORKS PDM\Lang\GB’. Check out section 9 in the 2017 release. Once these steps are completed, the service will start scanning your archive and build the index. Index filters (iFilters) are what enable the content of certain files to be indexed. PDM comes with a hand full of iFilters ready for use. These are added as part of the installation and do not need any extra setup. They are: Microsoft Office, HTML, MIME, Text, & SOLIDWORKS. 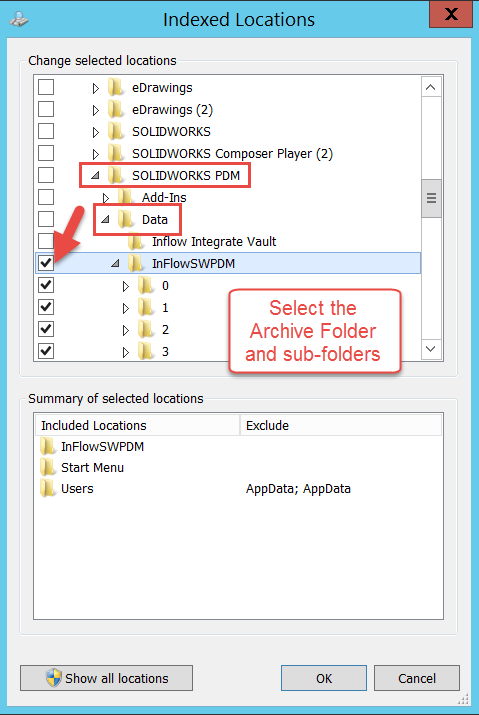 If you wish to include other file types, like AutoCAD or PDF’s, you will need to install iFilters that support those file types. This often requires the install of the documents program. For Example, to add content search for DWG’s, you just install a full version of AutoCAD on the machine (Pro tip: this does not require the software to be licensed, just installed). Index filters can often be downloaded from the various vendors, such as the Adobe PDF iFilter 64 or the Foxit PDF IFilter for searching the content of PDF files. Many can be found free of charge. 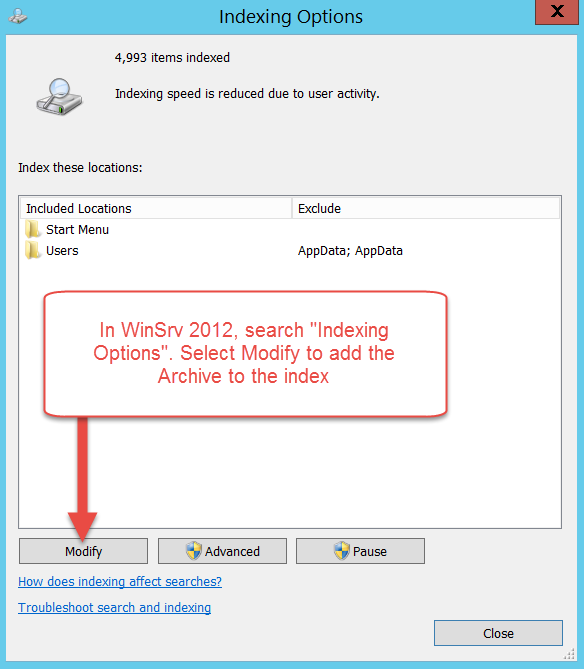 Once a new iFilter has been added, the index will need to be rebuilt before the search will return existing files. 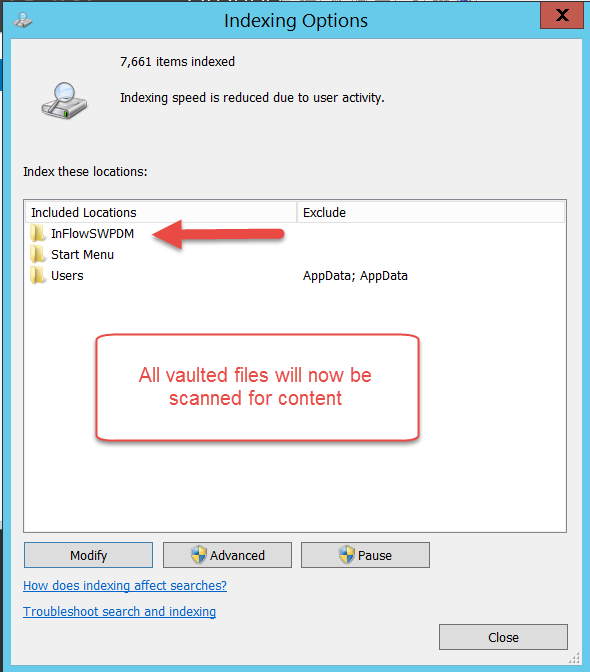 Any new files added after the iFilter is installed will automatically be added to the index at check-in. 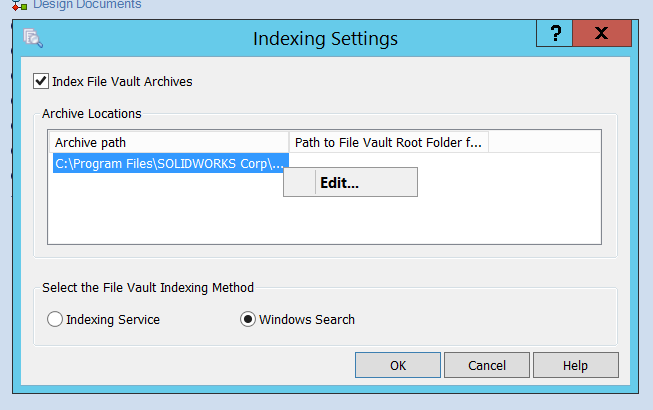 If you want to know what files are part of the index, open the advanced window in the Indexing Options. There will be many file types listed. 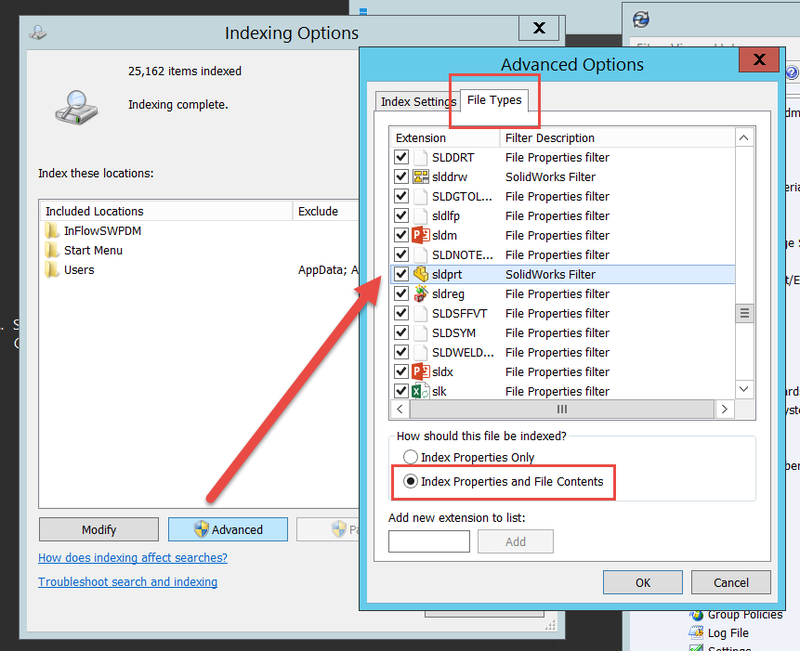 The only files that will used by the content search are those with “Index Properties and File Contents” option selected. This final step will allow you to take advantage of all the new data you are collecting about your files. This is also the easiest part, since it is already included on the “Complete” search card. You can copy these controls to other cards as needed. Let us know how enabling content search in PDM has helped you find the answers to your search questions in the comments below. 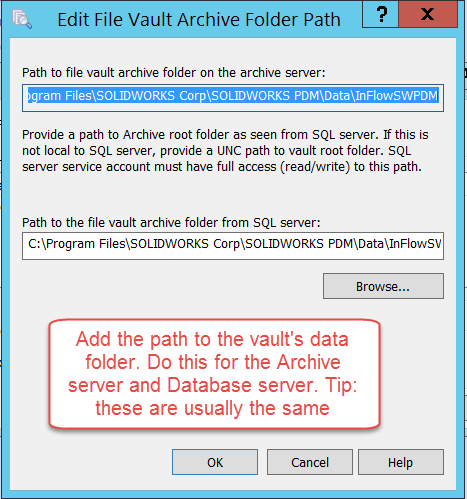 How do I properly import a “SQL database” card list from one EPDM vault to another?